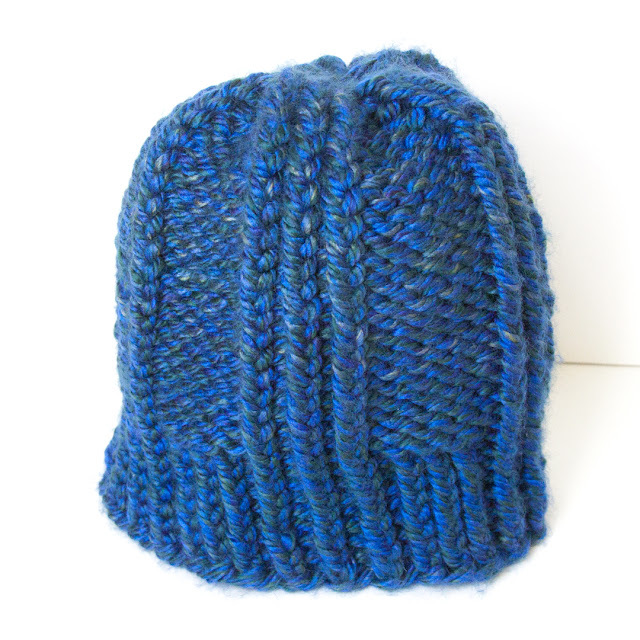 This year I went with the Instant Love hat by Taiga Hilliard Designs, which is a free pattern that uses super bulky weight yarn. Perfect! 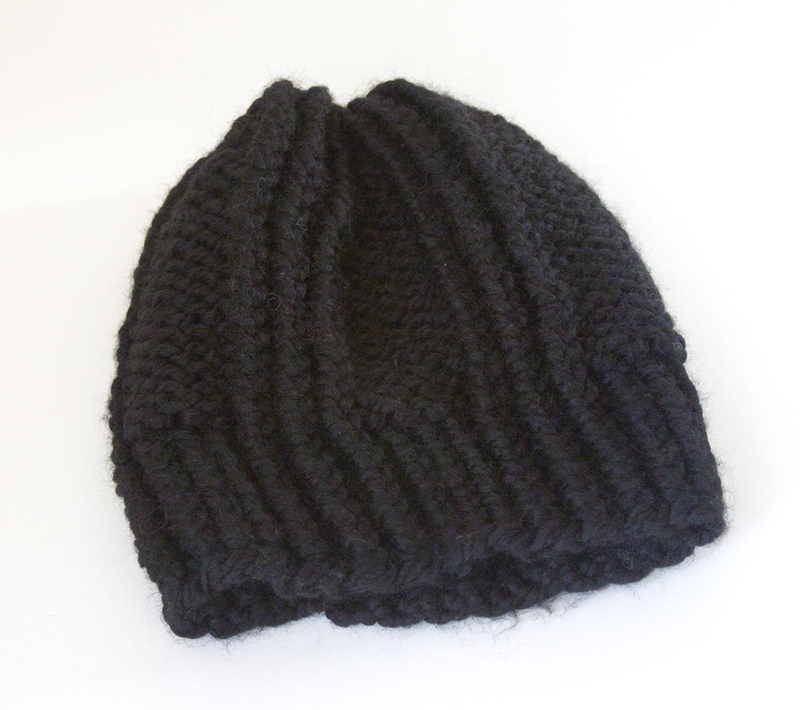 I picked it because I like the knit rows that feed down into the ribbing, making it just a bit different then a plain old beanie. This blue on was for Eric. When Marisa told me he would like medium to deep blue, I knew this Lion Brand Hometown USA in the Lake Tahoe colorway would be perfect. It was from my stash - yay stash busting! - so it was just a matter of casting on and getting to work. Being that this hat uses such big yarn, I was finished in about 3 hours. Woo hoo :) Personally I love this yarn - I love it's little flecks of colors like green and yellow. Subtle, but neat. And it's big and squishy. Hopefully that equates to also keeping Eric's head warm this winter. The second version took a bit more planning. Shannon said that her husband, Justin, would want a black hat, which is all fine except that I didn't have enough black left in my stash in this weight. I didn't want to use thinner yarn because it would take longer to make and I really needed to get this one done quickly to get it in the mail in time for Christmas. I didn't have any time to go to a bigger craft store, so I was stuck with the selection at my local Michael's. I went to the store not knowing what they would have, but hoping I didn't have to go with their store brand which I have found to be rough and unpleasant to knit with. Thankfully they carried Lion Brand Wool-Ease Thick and Quick and it was one sale plus there was a coupon off your whole purchase that weekend, lol. Score! So, those were this year's Bro-in-Law hats, and they turned out quite nicely if I do say so myself. I hope Eric and Justin liked them and that they keep their heads toasty warm this winter! Up next will be more of the gifts I made this year, so check back!